The ICAI exam, also known as CA exam, is conducted by the Institute of Chartered Accountants of India (ICAI), to produce chartered accountants in India. The ICAI conducts various examinations corresponding to different levels of the Chartered Accountancy course, in accordance with the Chartered Accountants Regulations 1988. Candidates who wish to take up Chartered Accountancy as a career, are required to enroll for the programme at ICAI and qualify all the levels of exams within a stipulated period of time to be certified as a Chartered Accountant. ICAI Registration dates have been announced by Institute of Chartered Accountants of India (ICAI). CA CPT 2019 Registrations are open now and candidates can apply till April 24, 2019 without late fees. 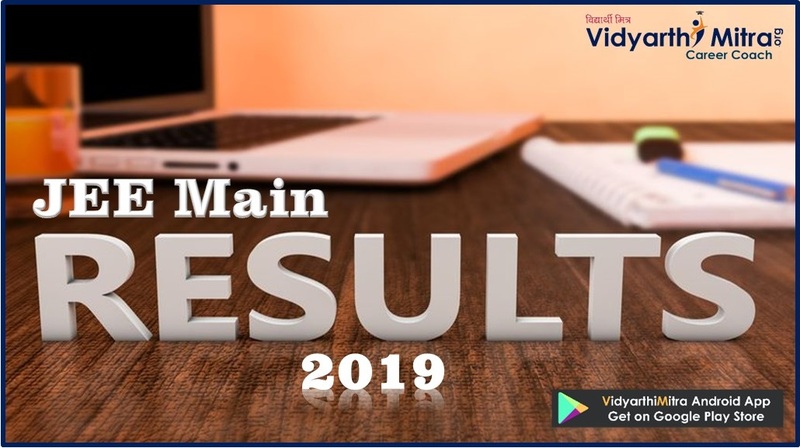 The registration for ICAI exam for Foundation course, Intermediate & Intermediate (IPC) and Final examinations ended on March 23, 2019 (extended date). Candidates can now make changes to their CA 2019 May application (changing groups) as the application correction window I were open from March 27 to April 02, 2019. 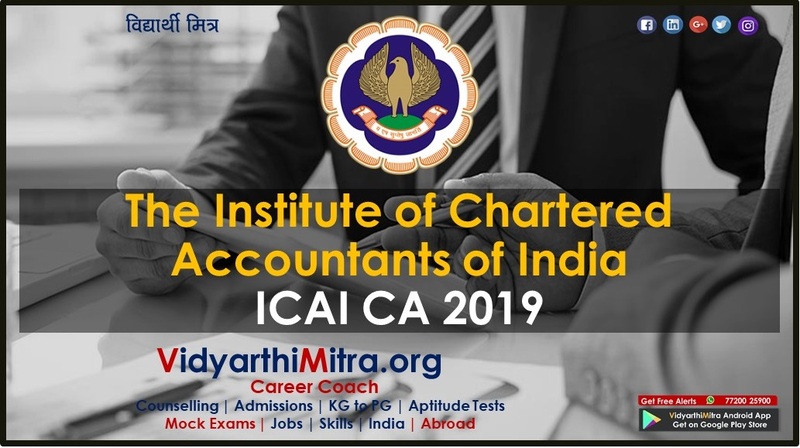 Candidates who want to pursue CA course can register for ICAI exam 2019 before the last date of application for each course. 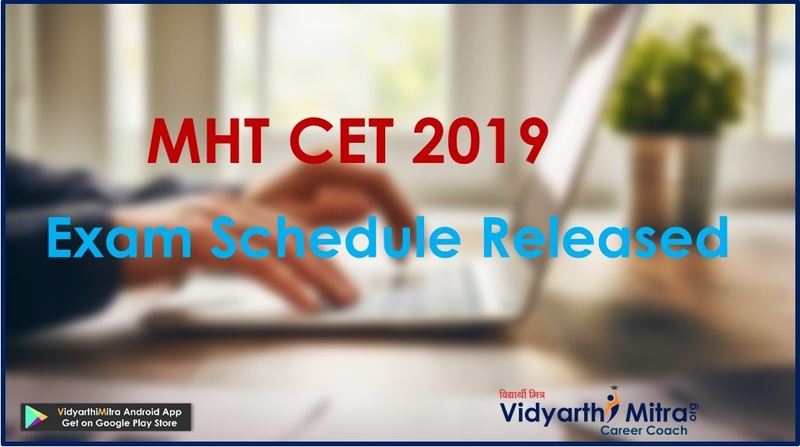 Check here complete Exam Schedule for CA Examinations 2019. The option for uploading scanned passport size photograph and signature will be given, but in case the photo and signature do not appear on the printout. Paste a recent passport sized photo on the printout and sign it. The candidate must mention "Online Application Form for CPT Exam" on the envelope. Candidates may note that uploading of Declaration is a mandatory requirement. Download the format of certificate fill in the particulars and get it attested from your Parent/Guardian and Head of Educational Institution / Member of ICAI/ Gazetted Officer. At the time of filling up the application form online, scan and upload the same as a Jpg/Jpeg file of size 100-300Kb/200DPI resolution. While uploading, candidates are advised to give an undertaking that the image being uploaded pertains to the December, 2018 exam. Retain a photocopy of the filled in application form and also retain safely the receipt issued by post office or acknowledgement issued by ICAI as proof of submission of the filled-up form within the last date at least till downloading of admit card. Payment of application fee can be done online through VISA or MASTER credit/debit cards. Those paying the fee online will be charged only the exam fee. The fees payable for the Common Proficiency Test is Rs 1000/- for centres in India, Rs 1700/- for centres in Kathmandu (Nepal) and $ 300/- for centres in Abu Dhabi, Doha, Dubai & Muscat. 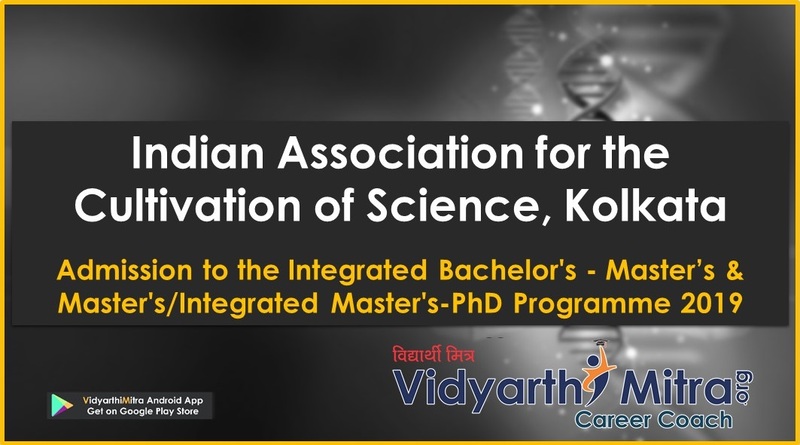 The form can also be obtained from Deputy Secretary (Examinations), The Institute of Chartered Accountants of India, lCAl Bhawan, lndraprastha Marg, New Delhi - 110002 on payment of Rs 1500 (Rs 500 towards examination fee and Rs 1000 towards application form. The candidate will have to create a login ID on the official ICAI website, through one-time registration. Once the candidate has registered, he/she will receive username and password through an email. The same will be shared through an SMS on the phone number furnished at the time of one-time registration. The candidate can login through the username and password to access the application form. The candidate is required to furnish valid details and fill up every mandatory field. Incomplete forms will be rejected. The candidate is then required to pay the application fee through Visa/Master/Maestro Credit/Debit Card. After successful payment of the fees, the candidate will be required to download the duly filled form and take a print out of the same. If the image uploaded does not appear on the printout, the candidate will have to attach two latest photographs (pass port size – 3.5X4.5 cms. )– One attested and one non-attested. If the Signatures are not appearing in the printout then Sign at specified places. Get it countersigned by parent/guardian at the specified place (in any case). Candidates who have passed Class 12 examination from a recognized school/institute are eligible to register for Common Proficiency Test. A candidate who registered for Common Proficiency Test 60 days prior to the first day of the month in which CPT examination is to be held i.e. on or before 1st April and 1st October, can appear in the CPT examination to be held in June and December respectively. 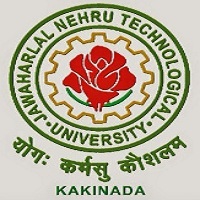 Candidates who are Graduate or Post Graduate in Commerce with a minimum of 55% of total marks or its equivalent grade in the examination conducted by any recognized University (including Open University) with certain subjects OR Graduates or Post Graduates in any other stream having secured a minimum of 60% of the total marks or its equivalent grade in the examination conducted by any recognized University (including Open University) are exempted from passing CPT. Category I: Candidates who have passed CPT and 10+2/PE I/ Foundation/Entrance Examination. Candidates converted from Intermediate/PE II/PCC/IPCC/CPT into the Intermediate (IPC) Course/ATC under this category and also completed 9 months of practical training. Candidates who registered for Intermediate (IPC) course through CPT route and appeared in the Intermediate (IPC) Examination in one or both groups but did not pass any of the groups, and converted to Intermediate (IPC) under the Direct Entry Scheme and commenced practical training on or before 31st October, 2016. For Intermediate level examination passed students of The Institute of Cost Accountants of India/The Institute of Company Secretaries of India, eligibility criteria is same as Graduates/Post Graduates. He/She is enrolled for the relevant level(s) of the Intermediate (IPC) Course or/and their registration is valid. Registration to the Intermediate (IPC) course is valid for 4 years. He/She has undergone a study course, for a period not less than eight months, as may be specified by the Council for the relevant level(s), and can produce a proof of the same when sought. The candidate who have passed the Intermediate examination or Professional Education Examination – II./PCC/IPCC, are eligible to apply for Final exam. The candidate must also have completed 3 years or 3½ years or must be due to complete, as the case may be, of article training as on the date of filling the form. Candidates who have taken termination are advised to re-register for the balance period of training. CA course comprises, three levels - CPT, Intermediate and Final. The exam pattern and syllabus for all these three are different. 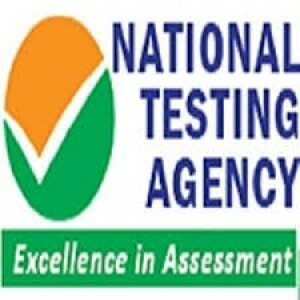 Common Proficiency Test is an objective type multiple choice questions based examination carrying 200 marks. The pen and pencil mode exam will be of four hours divided into two sessions ( 2 hours each). The question paper will be divided into four sections. There’s negative marking 1/4 mark deduction (one fourth) for each wrong answer. Candidates will be allowed to opt for Hindi medium Question Paper Booklet for answering the questions. The Intermediate IPC course exam will consist of seven papers. The question paper will be available in both English and Hindi.For English medium candidates the question papers will be provided in English. For Hindi medium question papers will be bilingual, except the following papers. Question papers of Accounting, Taxation and Advanced Accounting will be in English only, but the candidates can answer them in Hindi.